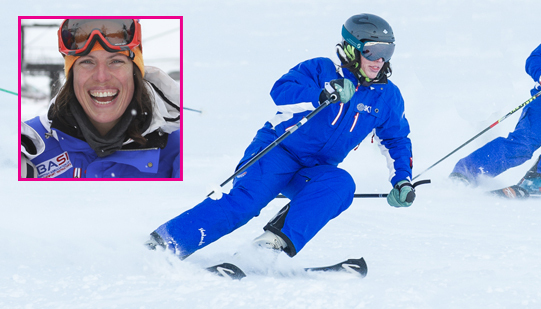 Amanda brings bucket loads of experience and enthusiasm to every ski session. Amanda, the daughter of a ski coach, grew up ski racing in Scotland and Murren in Switzerland with the Aberdeen Ski Club and the Kandahar Ski Club. As a ski racer Amanda achieved some impressive successes: she won many British national titles; she was on the podium twice at the World University Championships; was top 15 at the World U21 Championships and she had a top World ranking of 56 in Super-G. 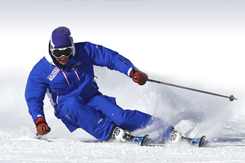 Her rhythm and accuracy on skis comes in useful as she performs in the the synchronised skiing demos for the BASI Demonstration Team representing GB at the World Ski Instructor Conference, Interski, in St Anton 2011 and Ushuaia 2015. 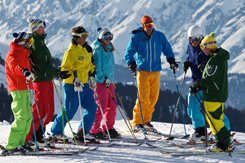 Not only a great skier, Amanda also has a background in teaching – she is a qualified PE teacher (Loughborough University) and taught at Aiglon College and Surbiton High School before switching to a career in ski teaching. 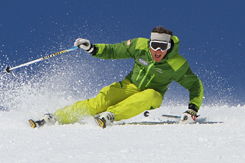 Amanda ski instructs independently and freelance in Val d’Isere as well as running Target performance ski training courses and coaching for the Kandahar Ski Club. 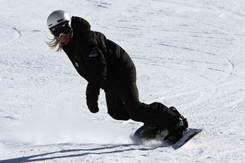 Amanda is a BASI Trainer and loves coaching the next generation of ski instructors with ICE. For the rest of the winter she can also be found working as an independent instructor in Val d'Isere and more can be found at her own website amandapirie.co.uk.